From the rich music of Tchaikovsky and Prokofiev set to Romeo and Juliet, to the pop classics and New Orleans jazz signature style of Harry Connick Jr. and his big band, this week, Hollywood Bowl guests will enjoy a showcase of class acts. 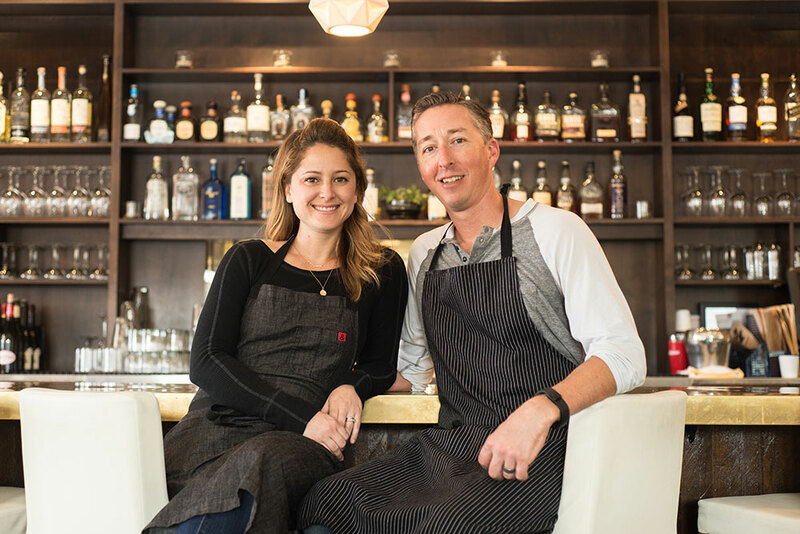 The same could be said for husband-and-wife team Brooke Williamson and Nick Roberts, who are known for putting a unique spin on American classics at their three restaurants, Hudson House, Playa Provisions and The Tripel. Place all ingredients except oil in a blender and turn on. Add oil rapidly as to not blend herbs too fine. A rough chopped look for the herbs is what is desired. Drizzle in olive oil slowly with blender on low. Adjust seasoning with salt, pepper and lemon juice. Garnish with popcorn and serve. Sautee the onions and fennel with butter in large sauté pan on medium heat until the onions are translucent, 10-15 minutes. Add the flour and cook on low heat for 3 more minutes, stirring occasionally. Slowly add clam juice, Pernod and salt and simmer for 5 minutes. Place the lobster meat, frozen peas, roasted pearl onions, and parsley in a bowl. Pour the cream mixture over the lobster mixture and check seasonings. For the crust, mix the flour, salt and baking powder in a food processor fitted with a metal blade. Add the shortening and butter and pulse until the fat is the size of peas. Dump the dough on a floured surface and knead into a ball. Wrap the dough in plastic and allow it to rest for 30 minutes in the refrigerator. Divide the dough into 5 equal portions and roll out each portion to approximately ¼ inch thick. Fill 5 small ramekins with equal amounts of the lobster mixture, and top with the crust. Crimp the crusts to the sides of the ramekins and brush with egg wash.
Make 3 or 4 slashes in the top of the crust. Bake for 20-25 minutes, until top is golden brown and the filling is bubbling hot. In a small bowl or half-pint Mason type glass jar, add coconut, chia seeds, coconut milk, coconut water, vanilla, and salt and mix until very well combined. Place in the refrigerator and allow to rest for at least 2 hours. Serve with fresh berries tossed in honey. The astonishing Yuja Wang plays Prokofiev’s Second Piano Concerto, launching the Bowl’s classical season with explosive brilliance. The colorful French & Russian program concludes with Ravel’s captivating Boléro. This rich Russian program of romance and tragedy, featuring theRomeo and Juliet music of two of Russia’s best-known composers, is led by Lionel Bringuier, the fast-rising conductor who made such an outstanding impression during his time with the LA Phil. The beloved multi-talented mega-star performs ballads, pop classics and New Orleans jazz, all with charm and his signature style. Backed by his top-flight band, Harry Connick Jr. delivers a memorable evening of melody, humor and rousing entertainment. Seattle’s iconic, bittersweet songsmiths return in support ofKintsugi, their eighth studio album and first in four years. With a string of sweetly styled and candidly lyrical hits, the Grammy®-nominated musicians rock with their hearts on their sleeves. The unpredictable and rhythmically ambidextrous music makers of tUnE-yArDs return as a five-piece to create a one-of-a-kind live experience at the Bowl.